In a push to establish a viable build-to-rent sector in Australia ASX-listed property group Mirvac has announced the formation of the Australian Build-to-Rent “club”. The Clean Energy Finance Corporation has secured a 30 per cent interest ($50 million) in Mirvac’s first institutional build-to-rent investment platform as a cornerstone investor. Mirvac’s first purpose-built build-to-rent asset in Australia, will be Indigo at Mirvac’s Pavilions project at Sydney Olympic Park. The CEFC investment will enhance the project design using clean energy and energy efficiency technologies with the potential to cut carbon emissions by as much as 40 per cent. 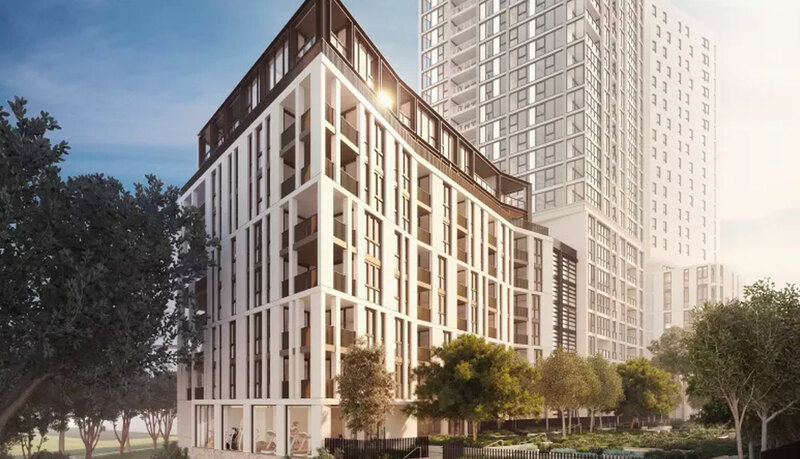 Mirvac will act as development, investment and property manager on the 258-apartment project that is set to be completed in 2021. UBS was financial adviser and lead manager on the creation of the club. The club will look to expand to a portfolio of 5-6 properties in Sydney and Melbourne and is reportedly targeting an initial yield of 4.5 per cent to potential investors. Mirvac chief executive Susan Lloyd-Hurwitz said built-to-rent was fast becoming an attractive investment opportunity as renting was now “a lifestyle choice” for people wanting the be close to work, services and amenities. “Recent reforms from the federal government, as well as the work of state government working groups, have demonstrated strong support and momentum for the build-to-rent sector,” Mirvac chief executive director Susan Lloyd-Hurwitz said. Mirvac plans to grow the club over time partnering with investors interested in what could eventually become a $300 billion sector. CEFC's involvement means future homes built by the club will aim to be sustainable and green. CEFC chief executive Ian Learmonth said the investment was about giving renters the same access to sustainability technologies as owners. “Our investment in the Australian build-to-rent club is about giving tenants the same access to clean energy technologies as home owners,” Learmonth said. Earlier this year, the CEFC committed up to $90 million in debt finance for three Mirvac masterplanned communities in Brisbane and Sydney. Mirvac intends to grow the club over time and discussions with additional club investors are ongoing.